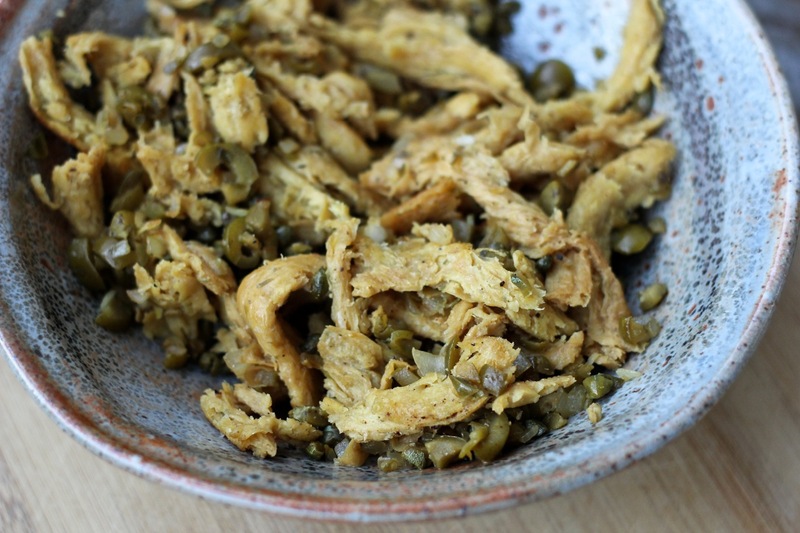 Over the holidays, I got a sudden craving for the flavors in my mother’s stuffing which was a meat with olives, capers, raisins, and some other stuff that I’m sure I’m forgetting. Cooking from a memory is never easy… especially if recreating something that is devoid of the original dish’s main component – carne. These soy curls with olives and capers are have come pretty darn close to the flavor profiles I remember though. They ended up inside our Christmas eve tamales and have now gone into regular rotation to snaz up tacos mid-week. 1. Cover soy curls in vegetable broth to hydrate. 2. Heat oil over medium heat in skillet. 3. Add onions, green olives and capers to skillet. Cook until onion begins to soften. 5. Add soy curls to skillet and cook until they begin to brown. 6. Add soy sauce and cook for a couple of more minutes. 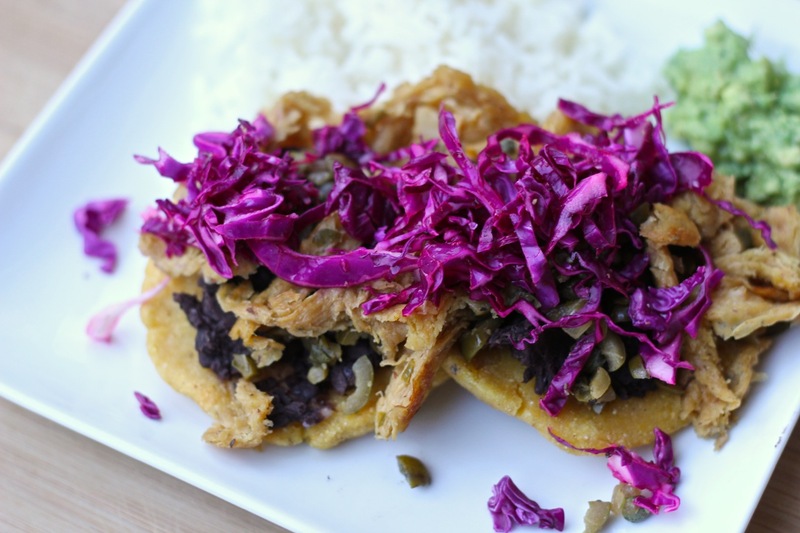 Here I served them on sopes with a smear of black beans and red cabbage, but our weekday standby is on corn tortillas with pureed black beans and topped with a simple tomate frito (pureed tomatoes fried in vegetable oil with salt and pepper). As an olive lover and a soy curl hoarder, I have got to make these! I put it in tamales over the holidays and was sold! Enjoy!